A former Texas district judge who was wrongfully convicted of nine felonies and later acquitted—because the allegations against her broke no Texas law—has moved a step closer to holding prosecutors accountable for alleged malicious prosecution. 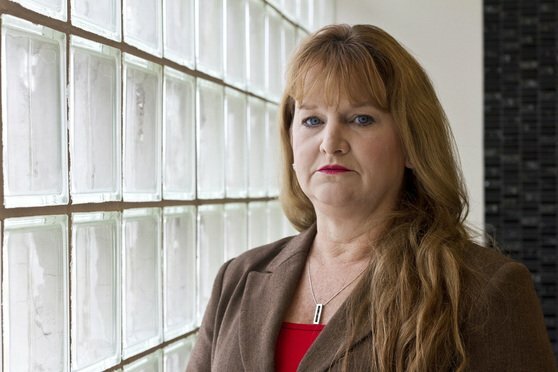 Judge Amos Mazzant of the U.S. District Court for the Eastern District of Texas ruled yesterday that the prosecutors who investigate and prosecuted former 380th District Judge Suzanne Wooten of Collin County cannot claim that prosecutorial immunity protects them because they acted as detectives, rather than just prosecutors. “This was not a case where the police investigated a crime to find a suspect, but rather where the prosecutors investigated a suspect to find a crime,” wrote Mazzant in the March 27 opinion in Wooten v. Roach, which denied all but one argument in the defendants’ motions to dismiss Wooten’s lawsuit. The defendants are Collin County, its former District Attorney John Roach Sr. and former Assistant District Attorney Christopher Milner, former Texas Attorney General Greg Abbott—he’s now Texas governor—and former Assistant Attorney General Harry White. White and Abbott’s press office didn’t respond to a request for comment. Matthews, Shiels, Knott, Eden, Davis & Beanland partner Bob Davis of Dallas, who represents Collin County, Roach and Milner, declined to comment. Wooten’s lawyer, Scott H. Palmer, said she feels elated by the ruling. The opinion explained the background of the case. In March 2008, Wooten defeated incumbent 380th District Judge Charles Sandoval in the Republican primary in Collin County. Sandoval filed a complaint against Wooten, alleging she cheated during the election. The DA’s office, headed by Roach at the time, investigated Wooten’s campaign without law enforcement’s help. Later, the AG’s Office joined the prosecution. The two-year investigation ended with Wooten indicted in October 2010, and re-indicted in July 2011. The prosecution’s theory was that a married couple, David and Stacy Cary, gave contributions to Wooten’s campaign through James Spencer, Wooten’s campaign consultant, who also did consultant work for the Carys. The central allegation was that the Carys funneled money through Spencer to Wooten’s campaign, in exchange for Wooten to file to run as a judge, campaign against Sandoval and issue favorable rulings in the Cary family law cases, Texas Lawyer reported. The Carys and Spencer became co-defendants in Wooten’s case, and each was tried separately and convicted by juries. As for Wooten, she faced convictions for six counts of bribery, one count of engaging in organized criminal activity, one count of money laundering and one count of tampering with a government record, the opinion said. Texas Lawyer previously reported that in the end, a jury convicted Wooten of the nine felonies in November 2011, and the state offered her 10 years of probation if she would resign and waive her right to appeal. She accepted but still pleaded not guilty and never waived her right to habeas corpus relief. She was sentenced to 10 years of probation and a $10,000 fine. Mazzant wrote that Spencer took a plea deal. The Carys appealed their convictions, and eventually, those appeals wound up in the Texas Court of Criminal Appeals, which in December 2016 acquitted the Carys of all counts, ruling the allegations against them weren’t a crime under Texas law. Using that reasoning, Wooten filed for habeas corpus relief and won her acquittal in May 2017. She had been disbarred because of her conviction, but upon her acquittal, Wooten won back her law license. Wooten in May 2018 sued the prosecutors and county for violations of due process, violations of the Fourth Amendment, conspiracy to deprive constitutional rights, malicious prosecution and more. In motions to dismiss, the prosecutors argued that prosecutorial immunity would protect them from the lawsuit. But Mazzant explained there’s a difference between a prosecutor’s role investigating a case to prepare for trial, and a detective’s role in investigating a case to find probable cause for an arrest. White, the assistant AG who prosecuted Wooten argued that his office intervened in the case after the investigation phase wrapped up. Mazzant disagreed, noting that White came in the case in December 2008, when prosecutors hadn’t even found probable cause and were nowhere close to having enough evidence for an indictment, much less ready to try the case. Wooten also claimed Collin County had a policy of wrongful arrests and prosecutions without probable cause or due process. The county argued it shouldn’t face liability because it didn’t control Roach’s arrests and prosecutions, and he was acting on behalf of the state, not the county. But Mazzant explained that voters in a county elect a DA, and the county pays for the office’s operations, so district attorneys do sometimes act as county-level policymakers. Wooten’s allegation about Roach’s policy, if true, would break state and federal law, wrote the court. Mazzant found that Roach was acting as a policymaker for the county. The court did grant one argument for the county, which claimed Wooten can’t recover punitive damages against it. Because Wooten didn’t respond to the argument, case law says there’s a presumption she doesn’t oppose the County’s facts, or doesn’t have evidence to oppose the argument. Therefore, Mazzant approved the county’s motion to dismiss the punitive damages claim against it.